Why am I doing this? While I do not have a diagnosable mental illness, perfectionist tendencies aside (see above), I have spent my life around those that do. 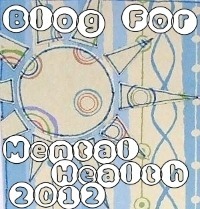 Of course, through childhood and young adulthood, I was not fully cognizant of the mental illness that was swirling around me. I am certain by adolescence, I was at least marginally aware that there were some irregularities going on with my family. But we didn’t talk about it. We were taught at a very early age that if you don’t have something nice to say, don’t say anything at all. And talking about something being mentally wrong with anyone in the family definitely fell into that “not nice” category. Shame. Stigma. How it thrived. And how we’ve all suffered for the silence. The time has come to speak up. Read the post in its entirety! 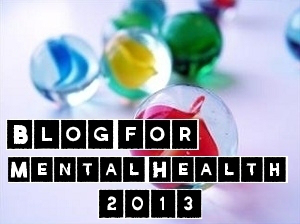 Visit Ellen Maybe – Blog for Mental Health 2014 – The Time Has Come. 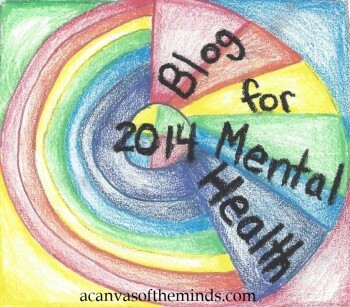 This entry was posted in Ellen Maybe and tagged Blog For Mental Health 2014, health and wellness, mental health on 2014/07/14 by Ruby Tuesday.